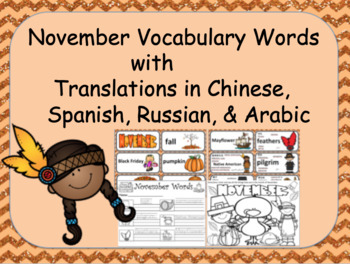 I created this packet for my ELL and regular ed students. 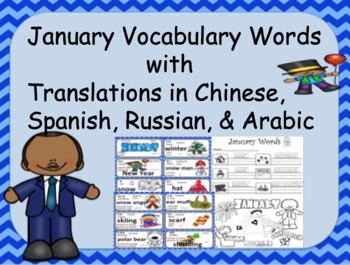 It contains all the months of the year vocabulary words and also a version in Chinese, Spanish, Arabic, and Russian. 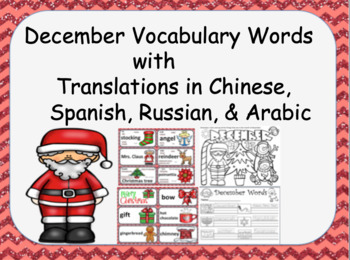 I also added some worksheets so you can practice the words or send them home for homework. 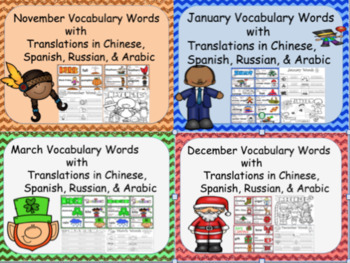 I like to print out the words with the translations for my ELL students and send them home for practice. It also helps the parents that do not speak English help their children. I hope you enjoy!